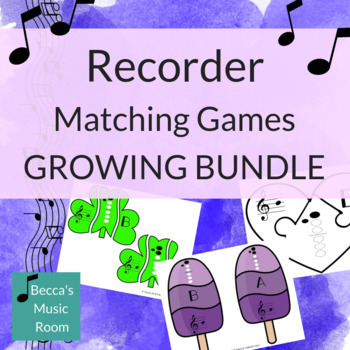 The recorder matching games allow students to match recorder fingerings, letters, and notes on the staff. Many of them also have a way to just have students match two of them-- like recorder fingerings and letter names. This is a great way to differentiate! In some games (like the snowmen), you can simply leave a part out. In others (like the Easter eggs), there are separate pages that can be printed.